The Roaring River tumbles down a jumble of rocks at the Alluvial Fan Falls in Horseshoe Park. 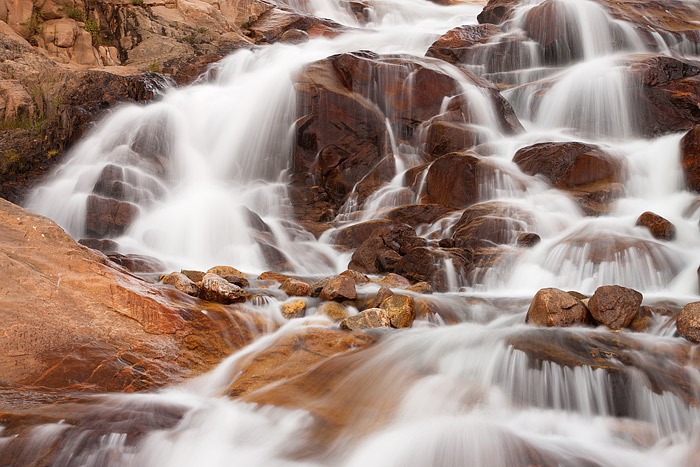 Alluvial Fan Falls is an impressive site to visit when in Rocky Mountain National Park. The Alluvial Fan and falls were created when Lawn Lake Dam failed on July 15th, 1982. The failure of the Dam caused a massive release of water onto the Roaring River which drastically altered the landscape of Rocky Mountain National Park.